Sculling involves each rower holding two oars to control the balance of the boat. Recreational and racing singles, doubles, and quads are available for appropriately trained scullers to use in our club. In order to use any club sculling equipment, you must have passed the club Learn to Scull program, have demonstrated certain skills in a single or double to the Sculling Coordinator, or have been listed as a sculler on your 2009 or prior membership application. There are separate certifications for lake and river sculling, as well as for bow seat in a double or quad. 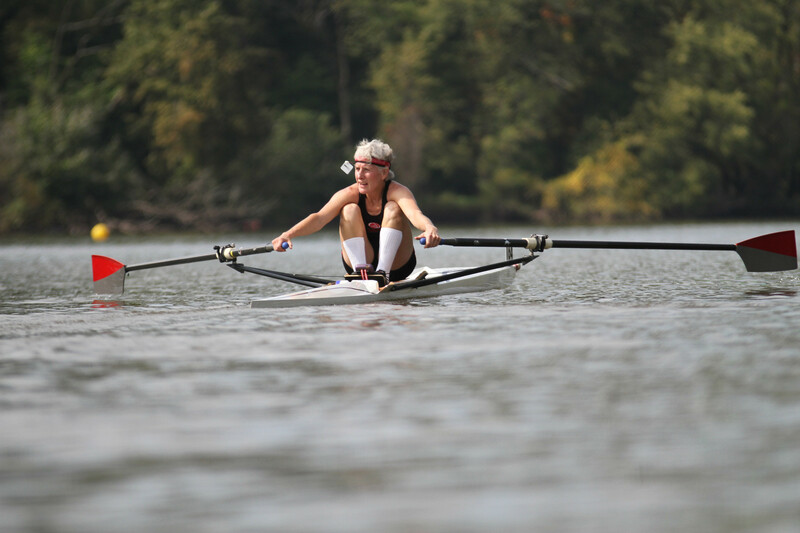 The club offers sculling lessons to club members of all ages after they have completed at least one year of sweep rowing. The same age/skill categories that exist for sweep rowing also apply to sculling: master, open or collegiate, junior, and novice. Since sculling boats don’t typically accommodate a cox, scullers must be adept at steering through the turns and bridges that line our river course, and they must know club safety rules and policy. After a least a year of rowing in sweep boats, any club member may sign up to join our Learn to Scull Program (below). Submit the Request for Sculling Lessons form found below. You will be assigned the session that is most convenient for you subject to availability. Pay your lesson fee after your session is scheduled; this fee is a cost in addition to annual membership dues. Lessons are held between 7 and 9 am over successive Saturday or Sunday mornings, June through August. In addition to learning club policies, procedures and safety, you will learn how to safely and effectively handle sculling equipment, maneuver during docking and rowing, and successfully complete a self-rescue in the water. Once new scullers have been certified, they are encouraged to practice on the lake or other safe setting with a sculling partner. First year scullers may also row in a double or quad on the river with more experienced, certified members in the bow. Following club guidelines of required experience and training, scullers may request additional certification for river and bow seat in a double and quad. Enrollment in Learn to Scull is first come, first served. Contact the Sculling Coordinator, sculling@desmoinesrowing.org, for further information. Click the link below to begin your registration. Once received, our Sculling Coordinator will email you to schedule lessons and arrange for payment. To see what sculling equipment is available for your level of sculling, please see our Equipment Policy.